a team of beauty insiders, including international blogger Ruth Crilly. without white residue – for effortlessly refreshed hair in an instant. Who is behind the COLAB brand? COLAB™ has been created by a dynamic collective of beauty experts: Ruth Crilly - International blogger and fashion model, Graham Lynch–Staunton – Architect of the global dry shampoo category, Miles Dunkley – Owner of fashion beauty manufacturing specialists SLG. The result is a revolutionary collection of dry shampoos that draw on industry expertise to deliver amazing performance at accessible price points. How is Ruth Crilly (A Model Recommends) involved with COLAB? International beauty blogger & businesswoman, Ruth Crilly, is co-founder of COLAB™. A self-confessed dry shampoo junkie, Ruth has worked on the brand from the very start as part of a collective in pursuit of the perfect dry shampoo. What makes COLAB different from other dry shampoos? COLAB's innovative, invisible formula absorbs excess oil without white residue, making it perfect for all hair colours and types. The multi-award winning dry shampoo is also the bloggers choice, with a confident, colourful and cool vibe. 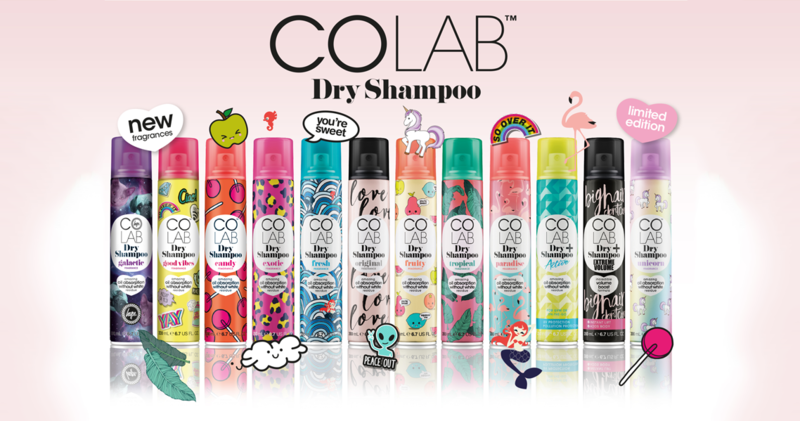 How is COLAB + different to regular COLAB Dry Shampoo? COLAB™ Dry Shampoo + is a collection of targeted, advanced formulas. The Active Dry Shampoo is super charged with active ingredients including Moringa Seed extract giving UV & pollution protection. While the Extreme Volume formula features lightweight plumping powders for instant backcombed body & volume. Can COLAB be used on all hair types? Yes, COLAB can be used on all hair types, including bleached & colour treated hair. What is COLAB’s policy on animal testing? COLAB does not and will not conduct animal testing on our finished products or ingredients, nor do we ask others to test on our behalf. All of our tests are carried out on human volunteers. Is COLAB suitable for Vegan and Vegetarians? Yes, COLAB is suitable for both Vegans and Vegetarians as it does not contain any animal or animal derived ingredients. Does COLAB Dry Shampoo contain parabens? We are aware of the recent concerns in the media involving parabens and all COLAB products are free from parabens. Where are COLAB products made? We are delighted to say that COLAB is designed and manufactured in the UK. 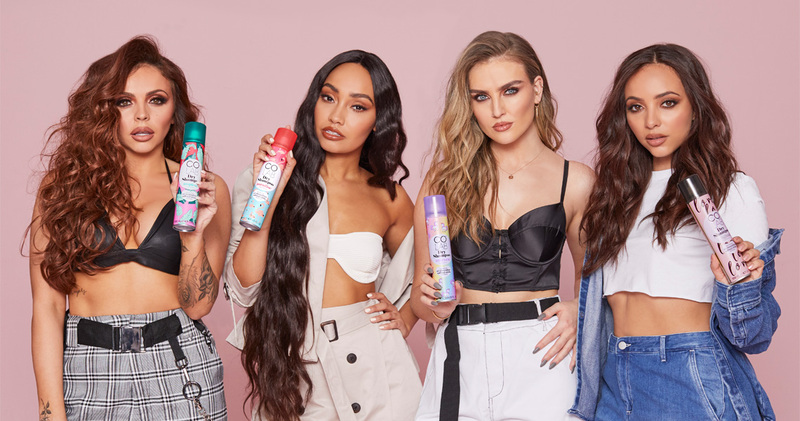 Where can I buy COLAB Dry Shampoo? COLAB Dry Shampoo is available in the UK & ROI & internationally - click here to find your nearest retailer.